Type 1000 Watt, Copper, Aluminium Recoil Start. hrg 1.7 jt. 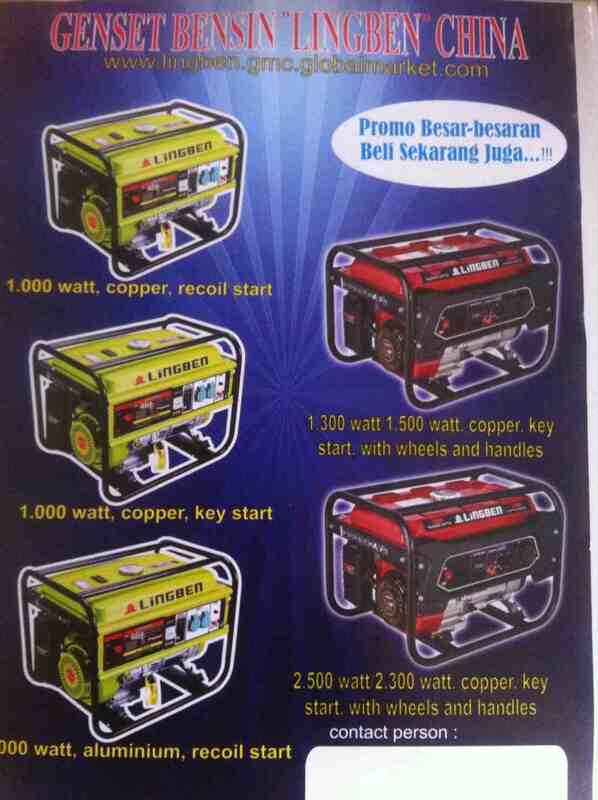 Type 1300 Watt & 1500 Watt, Copper, KeyStart with Wheels and Handles.